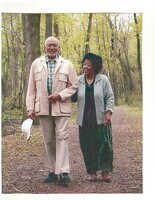 William Polk Wright, age 91, was born August 09, 1927 in Rockwood, Tennessee to Louis T. Wright, and Hettie Wright. William went to be with his lord Thursday, January 31,2019 surrounded by his family. He was preceded in death by his father; Louis T. Wright, his mother; Hettie Wright, 2 brothers; Louis T. Wright II, and Leroy Wright, 4 sisters; Helene Pettress, Dorothy Turner, Emma Jean Anderson, and Marjorie Ann Bromfield. He leaves behind his legacy to his wife; Wilhelmina Wright, 2 sons; Sergeant William Polk Muhammad(Lisa), and Captain Paul C. Wright(Oksana), 2 daughters; Valerie Wright, and Ramona Wright, 8 grandchildren, 11 great grandchildren, and a host of other family and friends. Public visitation will be held on Sunday, February 10, 2019 from 1:00 PM to 4:00 PM at Ivy K Gillespie Memorial CHAPEL, 1865 Eastern Avenue SE. Funeral services are scheduled for Monday, February 11, 2019 at the Grand Rapids Veteran Home, 3000 Monroe Avenue NE, at 11:00 AM. Friends may meet with the family a hour prior to services at 10:00 AM. To send flowers in memory of William Polk Wright, please visit our Heartfelt Sympathies Store. Provide comfort for the family of William Polk Wright by sending flowers. So saddened to hear of the loss. Roddy family will keep you uplifted in prayer.